Learning to effectively manage your blood glucose levels can seem rather overwhelming. There are many factors that can affect your levels, most of which are out of your control. One of the most concerning of those is stress. It can increase your blood glucose levels, making it more difficult to keep them within your recommended goal or target range. 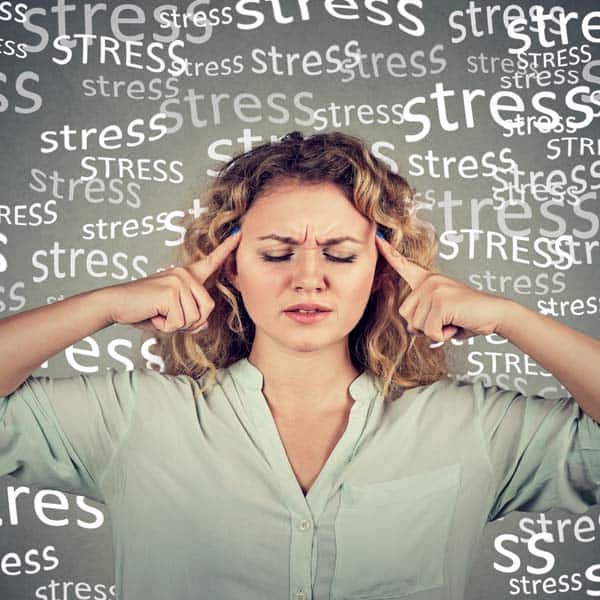 While almost everyone experiences stress at one point or another, learning how to effectively handle it can be one of the best tools those with type 2 diabetes can have. Other useful methods of managing type 2 diabetes can be found here. You may be aware that stress can lead to higher blood glucose levels, but if you are like most of us, you probably want to know why that is. Stress is everywhere. When your body feels that it is under attack, such as with a physical injury, illness or even emotional turmoil, stress can take over. Mental stress also happens when you experience issues in your personal life, relationships, job, health or even your finances. When stress happens, your body gets ready to plan a course of action. This is called the fight or flight response. During this natural response, the levels of hormones in your body begin to rise. The effect of an increase in hormone levels leads to more stored energy, fat and glucose for the cells in your body. This storage system helps to prepare the cells which signal your body to get away from the potential danger or threat. When you have Type 2 diabetes, this can make dealing with stress more difficult, medically. There are quite a few sources of more long-term stressors. When you undergo surgery, as an example, it can take extended periods of time for your body to heal. The stress hormones in your body are typically designed to deal with much shorter periods of stress dangers. But long-term stressors like surgery can cause your blood glucose levels to be elevated for much longer periods of time. Mental stress can also end up being a long-term source, causing your body to go into overdrive in terms of hormone production. When your body is constantly in the ‘fight’ mode, it does not get to retreat or ‘flee’ as it is naturally designed to do. This can lead to much higher blood glucose levels. Those experiencing stress may not always take the best care of themselves, leading to less physical activity, forgetting to check blood glucose levels as often as they should, or even eating a proper meal. The first thing you should do, as someone with type 2 diabetes, is to learn how stress affects your blood glucose levels personally. You can easily do this by recording your blood glucose levels as well as a rating on a scale of one to ten of how stressed you currently are. Keep up this method of recording for a week or two. This will allow you to spot a trend or pattern of how mental or physical stress affects your blood glucose levels. Learning to effectively manage your stress is one way you can work to also manage your blood glucose levels. Together with your medication regimen as well as other suggestions from your diabetes care team, stress management can make help to make things much easier on you. You may be able to eliminate some of your sources of stress completely. If you find that the route to work stresses you out due to traffic conditions, you may be able to find a different route all together. If you are unable to do this, you can plan accordingly to try to avoid the periods of higher traffic by leaving at an earlier time. If work is one of your biggest sources of stress, consider transferring to another location, if possible. If you are having an argument or disagreement with members of your extended family, you may work to try to smooth things out, or fix the relationship so that this stressor is eliminated. While eliminating sources is a great way to reduce your stress, often times you can’t eliminate everything. When this occurs, learning coping techniques can greatly reduce the stress you go through. 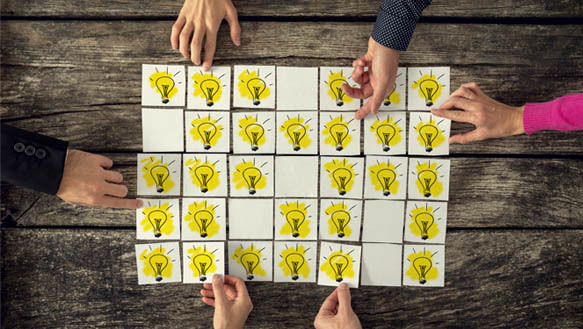 One technique is learning to problem solve. Try saying to yourself “What Can I do About this Stress?”, this can allow you to think about why you are under stress and find steps you can use to reduce it. Another method is to learn to accept the problem you are experiencing and think of it as “not that bad”. Learning to recognize the problem, is the first step, learning that it might not be as bad as you originally thought is the second step to reducing the stress that it causes. Learning to see the positive side of things can help you to understand that not all problems are ‘big’ problems. When you start feeling tense or stressed, you can opt for a little bit of physical activity. Try taking a short walk, or stepping outside to get some fresh air. Simple things such as these can help to improve your state of mind mentally, which in turn can lower your stress levels. Additionally, physical activity is a great way to also lower your blood glucose levels as well. When you are sleep deprived, your body can quickly become stressed. Stress also has a way of affecting your sleep by causing disruptions in it. Trying to minimize any distractions before bed can help prepare your body for relaxation. Avoid any caffeine before you go to bed as this can only increase your brain activity, so instead of turning your brain off, you’ll be turning it on. Sticking to the same routine each night can also help to prepare your body both physically and mentally for sleep. Is it Safe to Take Supplements if You Have Diabetes? Sleep will allow your body to rest and reset for the next day. Increasing the amount of sleep you get may also help to greatly reduce the levels of stress you are experiencing. Mindfulness, which teaches you to become aware of your thoughts, physical sensations and emotions in any given moment, is one method of reducing stress. The basics of mindfulness start with the practice of meditation. Mindfulness allows you to break the cycle of stress, anxiety or even depression. The pressure people experience with everyday life typically causes them to withdraw or even all together avoid them. 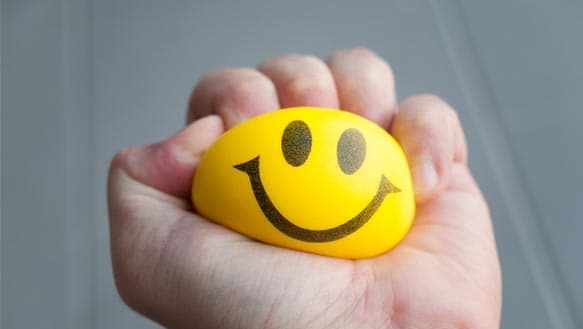 Most often these typical techniques of trying to deal with stress cause you to focus only on the negative and lead to even more stress. Those who work to avoid this negativity and instead focus on feelings of being content and happy are better equipped to handle the stress that does come their way. Mindfulness encourages you to be present in the present moment without judgement. This teaches you to accept your feelings instead of trying to push them aside or bury them. Mindfulness practice also allows you to address any feelings of anger or guilt you may be having towards the management of your type 2 diabetes. When you find your mind wandering and thinking of a ‘negative’ thought, try thinking of something that makes you laugh or smile instead. Sometimes a poem, quote or even a prayer you have memorized can help during stressful time to replace any negative thoughts. Keeping a journal or diary can be an effective tool in your stress management. It will allow you to become more aware of what causes you to feel stressed. It’s important to note the time, date and what you were doing when the stress occurred. Be sure to rate the stressful situations so that you can learn what types of things cause you to be more stressed than others. This can help you to determine how you can avoid these situations in the future, as well as learn better methods of handling them. Having type 2 diabetes is one stress source that you cannot entirely eliminate, YET! But the good news is, there are ways, as we’ve discussed above to reduce stress. This also pertains to diabetes related stress sources. 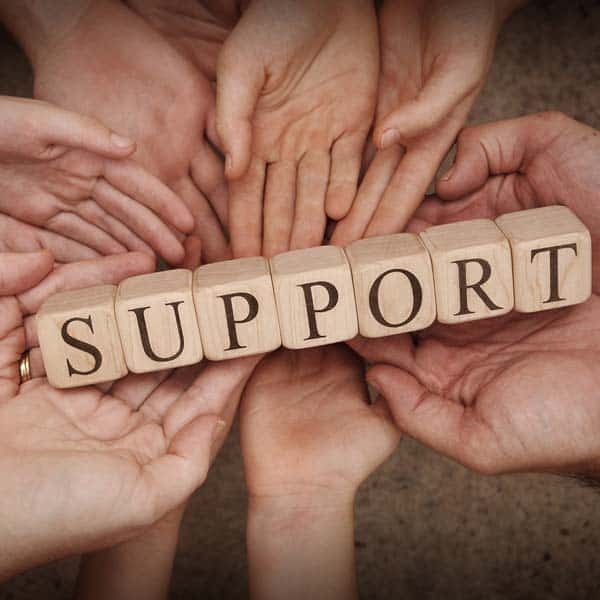 There are many available support groups both online and offline that can help. Interacting with others that understand what you are going through can make it so you do not feel alone. Speaking with others that have type 2 diabetes can also help you learn additional methods of coping with stress that work for them. If your diabetes care routine has become overwhelming, it’s important to talk with your doctor about what steps you can take to try to lighten the burden. Getting a referral to counseling may help you discuss what parts of your care are causing you the most stress. Establishing a more scheduled routine may help to ease some of the unknown stress that is caused when it comes to managing your blood glucose levels. While diabetes gives you a new set of challenges to handle, you can still effectively manage your blood glucose levels, even when stress enters the scene. While stress also adds to the challenges of managing your diabetes, you are quite capable of handling stressful situations in a productive manner. Learning to handle your stress levels can also have a direct effect on your blood glucose levels. The techniques and methods above may help to aid you in reaching your diabetes goals. It’s still important to remember that you should discuss any changes to your routine, no matter how small they are with your doctor before you begin.